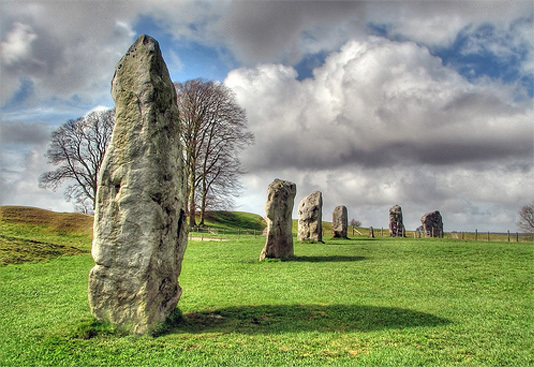 Avebury is the site of a large henge and several stone circles surrounding the village of Avebury. It is one of the finest and largest Neolithic monuments in Europe, about 5,000 years old. Although older than the megalithic stages of Stonehenge, the two monuments are broadly contemporary overall.